could your allergies also account for your diminished sense of hearing? Yes, say hearing health professionals, with symptoms that can include itching, swelling, vertigo and fullness in the ear. 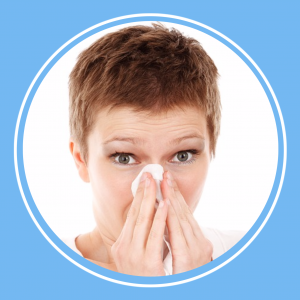 Your immune system responds to allergens by producing antibodies that release histamine. The release of histamine produces an allergic response; the resulting sneezing, itching and congestion also increases mucus production, which can cause conductive hearing loss. Remember, it’s never advisable to attempt to scratch an itch by putting anything inside your ear canal. Instead, wash your ear gently with a warm, wrung-out washcloth and dry it thoroughly. If that doesn’t help, see your doctor. He or she will be able clean your ear and examine it to determine what is causing the itching. Inner ear: Allergies may also diminish hearing in individuals with inner ear disorders such as Meniere’s disease. In addition to causing you some discomfort, allergens can also clog the microphone ports in your hearing aids, affecting the way your hearing aids function. You can replace the covers of microphone ports easily. Some individuals seem to experience an allergic reaction to their hearing aids. If this is the case, be sure to talk to your hearing health professional. The allergy may be caused by poor fit, moisture in the ear, wax accumulation, dry skin or an allergy to the ear mold material. Most of the time, any hearing loss you experience during allergy season is typically temporary. Normal hearing usually returns after your symptoms subside or your infection clears. If they don’t — or you experience extreme pain and discomfort — see your audiologist to make sure your condition doesn’t need long-term treatment.